Wetskills visited several water universities in Nepal last spring. 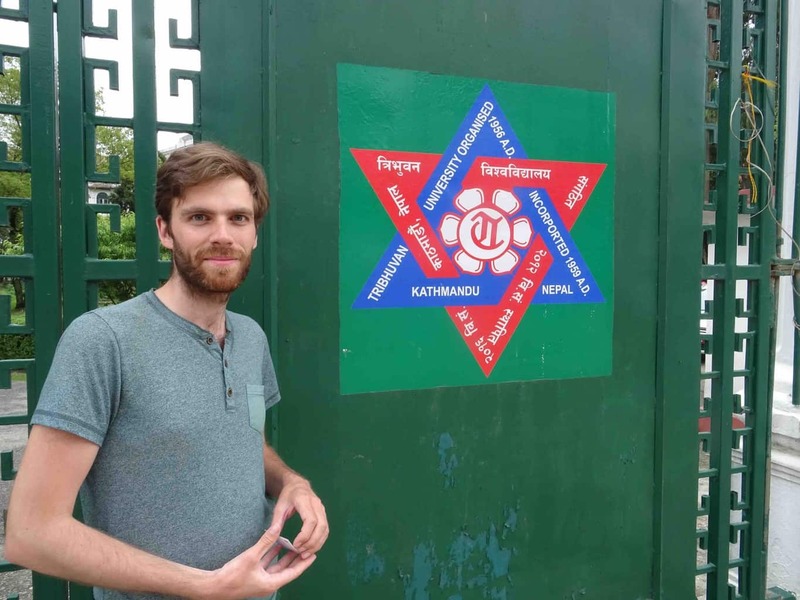 Meetings are held with the Centre for Environmental Education Nepal (CEEN, aligned to CEE, Wetskills partner in India) and the Tribhuvan University in Kathmandu. Mutual interest are discussed and contacts were laid. Frank Tibben, Program Officer of Wetskills and both parties discussed interesting opportunities for Nepali students and Young Professionals to join Wetskills events worldwide (e.g. January 2019 is a two week event in India, see also the website) and for the possibilities to bring in cases for Wetskills India or other events. Nagendra Raj Sitoula, Professor and Director at the Centre for Disaster Studies of the Institute of Engineering of Tribhuvan University Kathmandu, gave a kind introduction to the Nepali education system and is happy to encourage students, colleagues and young professionals in participating in the Wetskills water challenges. Mr. Parshuram Sharma Niraula, Founder and Director of the Centre for Environment Education Nepal and Mr. Pratap Rai, Program Director, were happy to tell more about creating awareness on Environmental Education and Education for Sustainable Development (EE/ESD) in Nepal. CEEN mission is to educate and support the people of all ages to take environmental action, in order to meet the national mandate of Sustainable Development. Our meeting came out productive with learning and sharing form each of us in order to discover future opportunities. If you are studying or working in Nepal let us know your interest. In January 2019 Wetskills India will be organised in Ahmedabad, The Wetskills Foundation hopes to welcome Nepali Students and Professionals. During past editions participants often successfully arranged financial compensation for their Wetskills participation from their university or employer. Interested future participants or case owners could contact Johan Oost or Frank Tibben.